This is a PR Friendly blog. I am happy to consider any requests for product reviews, giveaway hosting, infographic sharing, etc. 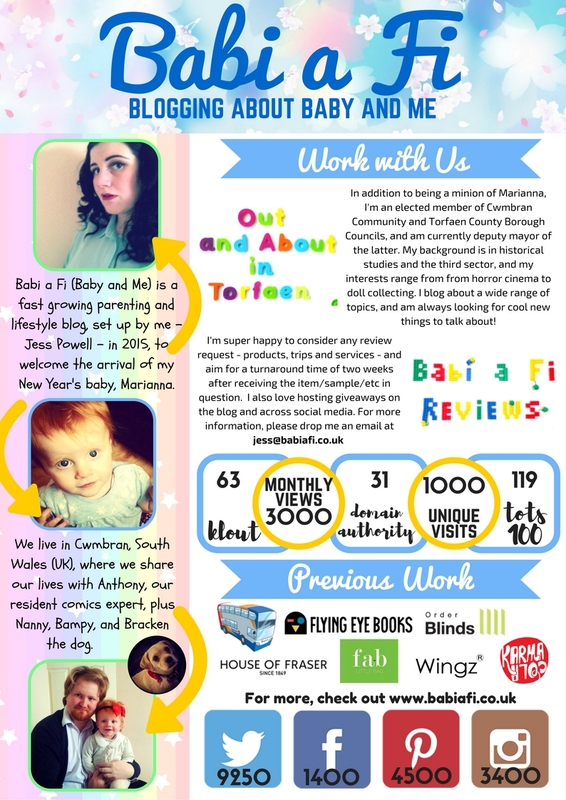 Please drop me an email at jess@babiafi.co.uk and I'll get back to you as soon as I can. If you want to know more about me, and the things I care about, take a look at my About Me page HERE. Alternatively, my February media kit is available HERE. To find my profiles on other networks, please click HERE.